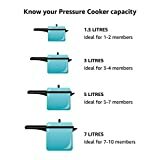 Pressure Cookers are cooking devices in the form of sealed vessels, used mainly for pressure cooking. In this method, water or other liquid is used for cooking. Using this appliance, food is cooked faster than other conventional methods of cooking. Thus, pressure cooking saves energy. 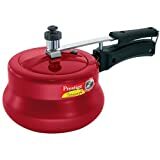 Pan body, usually made of metal, with pan handles on each opposite ends for carrying the cooker. Lid, with a slider or locking button to prevent accidental removal while cooking. A Gasket, which makes the cooker airtight. Accessories like steamer basket, trivet and metal divider are included. With pressure cookers, food cooks much faster than other methods. Also, it requires comparatively much less water than conventional boiling. The energy consumption is also quite less than steaming, boiling or even pressure cooking. 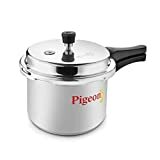 Brands like Prestige, All American and Fagor are known for offering best pressure cookers.